Who Will Win Super Bowl 50? A pushy boss forces his young assistant to marry her in order to keep her visa status in the U.S. and avoid deportation to Canada. Mr.Hall: [as Travis goes to jump out window] And could the suicide attempts PLEASE be postponed until the next period? Q: Is this movie based on a book? Q: How many died in the Pismo Beach disaster and when is the anniversary? Q: What does RSVP mean? I wasn't expecting much of this movie, until I started seeing it. It turned out to be quite entertaining. 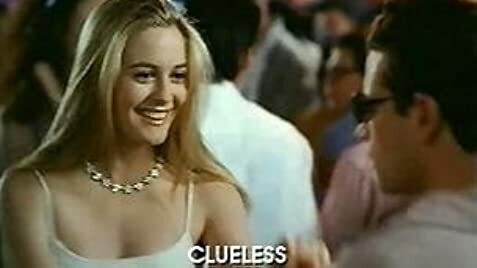 "Clueless" is about the shallow and rather stupid rich girl Cher Horowitz, who only cares about herself and how popular she is. But then she starts this kind of 'project', together with her best friend. One of the aspects of this project is about making a new silly girl of their school look as 'cool' as they are. This 'silly' girl is very well performed by Brittany Murphy. I hardly recognized her! The lead role is for Alicia Silverstone who gives an excellent performance as well. Furthermore there is another great performance Paul Rudd (who we also know as Phoebe's boyfriend in "Friends"). Also Dan Hedaya and Breckin Meyer (Road Trip) are funny. Funny and very entertaining movie from the director of "Look Who's Talking (Too). Definitely worth watching! 35 of 46 people found this review helpful. Was this review helpful to you?